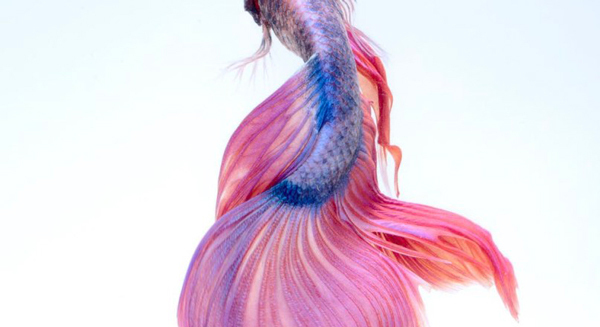 A skittish Betta fish refers to those that are nervous or easily scared. Betta fish can become easily stressed due to environmental factors along with the additional of tankmates or aquarium changes. Adjusting to a new tank can be stressful for some Bettas. To help ease the transition you can place your betta in a quiet, low traffic area of your home while he is getting used to his new set up. Bettas don’t hear the same way you and I do but they are able to feel vibrations so try to avoid the thumping of stereo base or similar low vibrations if your betta appears to be skittish. If his aquarium is in a permanent location and can’t be easily moved you can wrap the glass in a towel for the first day or so until he gets used to things. Bettas also love plants and caves. Not only are they an interesting addition to your tank but they offer your betta a sense of security. By helping your Betta fish adjust to their new home will allow them to feel at ease and will be begging for food in no time. Patience is key when trying to calm down a skittish Betta fish. Ensure the room volume is not excessive. Do not introduce tankmates too soon. Turn the filter to it’s lowest setting. Betta fish do not like strong currents. Place the aquarium in a quiet space in your home. Provide your Betta with rocks, caves and plants. These items provide the Betta fish with a sense of security.